Oh and their pizza, especially the “Garden Fresh Pizza” which we had was delicious and plated well. Garden Fresh Pizza- Triple Cheese, capsicum, green chillies, onion, peprika, fresh coriander.? 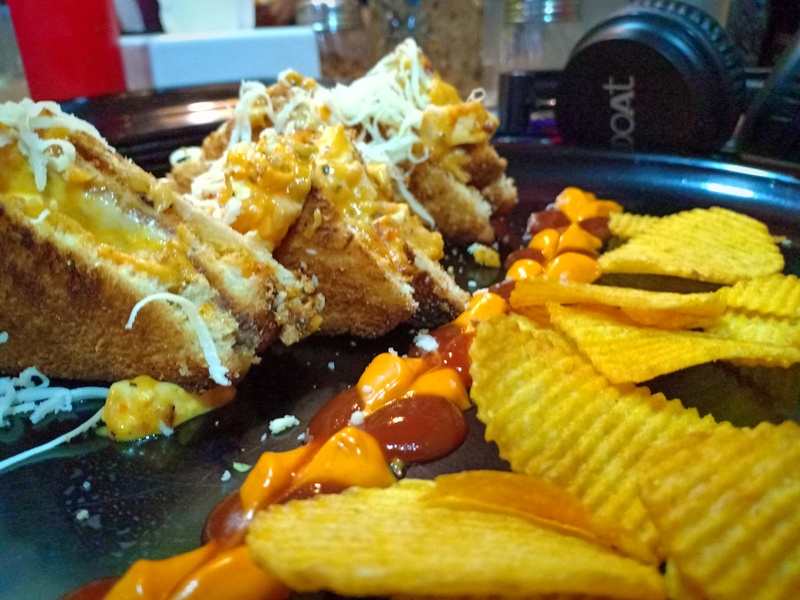 Corn Cream Cheese Sandwich (pictured)? which just vanished in 5 minutes, served in 5 triangle pieces, big bread and good stuffing plus added cheese. 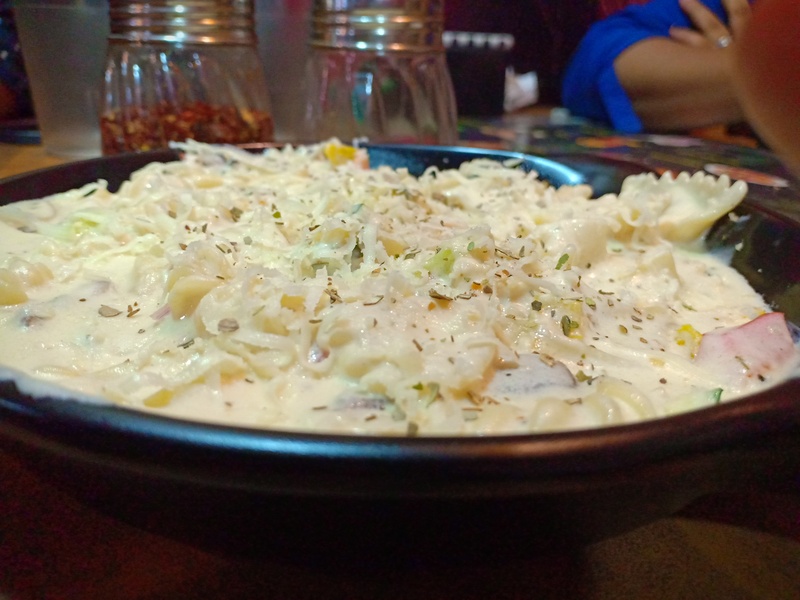 After having that, we made add on orders of Pasta Alfredo (pictured) A Mix Pasta, toasted with cream white sauce and salute in onion, garlic, basil and Italian herb? along with Spicy Schezwan Fries? which just made our evening better. Total Spend- Rs. 400 for 2 person approx. • It is a great place for evening snacking. • Very Very Pocket Friendly. – Friends, Bae, pets, Family. There are thousands of varieties of cheese, ranging from mild to mature in flavor, and low- to high-fat in composition.